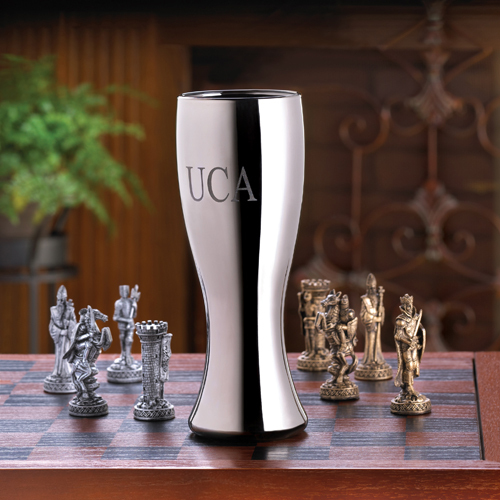 * Sleek and classy, this personalized pilsner glass looks like metal but is really glass coated with a thin, shinny metal finish. * A great gift for the barware aficionado, this attractive personalized pilsner keeps beer cold in style. * Uses an innovative engraving process that lets you see right through the inscription! * Buy one or a whole set! * Personalize with two lines up to 10 characters per line.